All thoughts and opinions shared are my own. 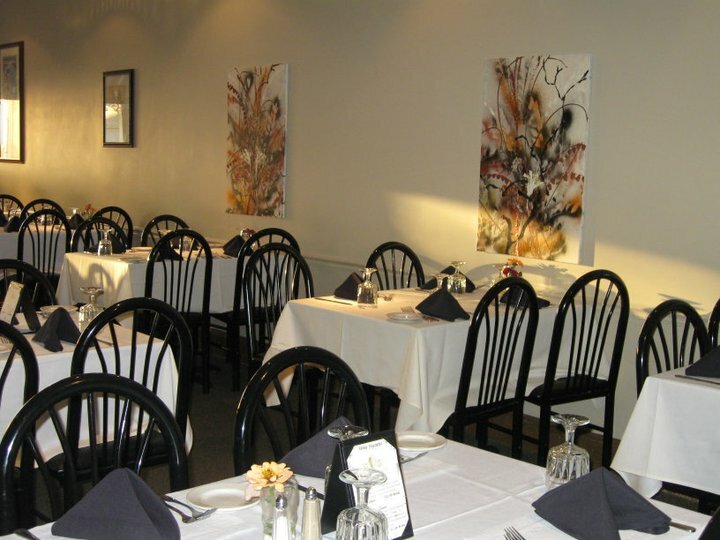 Salisbury, North Carolina is a bit of a melting pot when it comes to restaurants. From high end establishments that have consistently served exciting cuisine for decades, to new and fresh restaurants, Salisbury has it all! 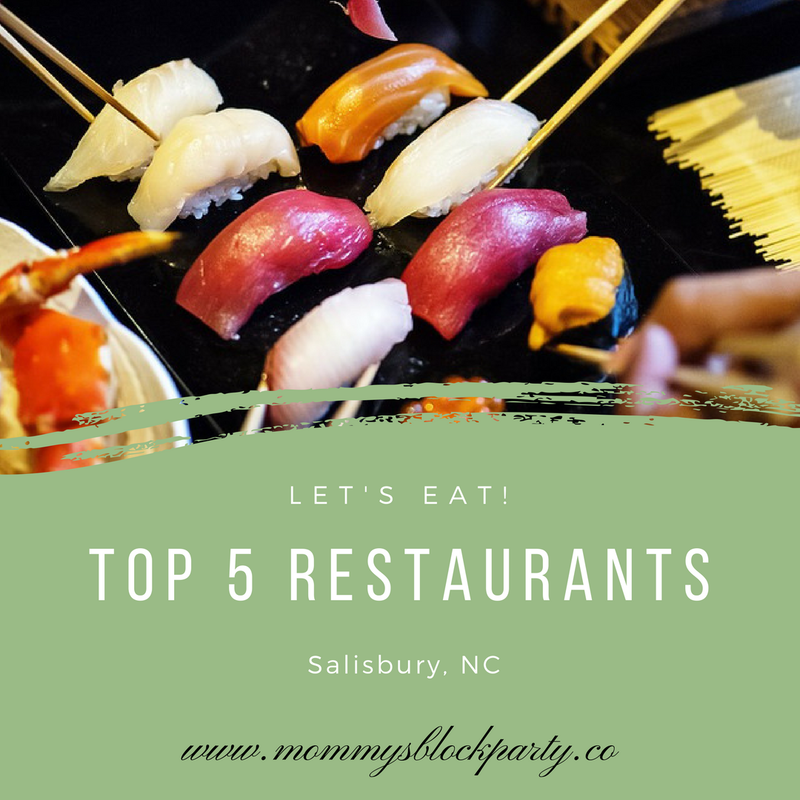 This town has far too many amazing restaurants to only choose five, which is why there will be some honorable mentions in this post as well. To start things off, I will countdown and begin at number 5! 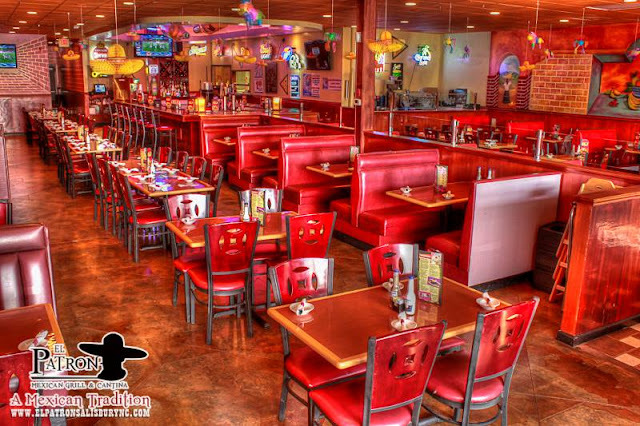 El Patron is just the right blend of laid back and sophisticated Mexican cuisine that is sure to provide you with the classics you know and love as well as reinvented dishes with a twist! I have a few favorite dishes at El Patron but if I had to choose one it would be the sauteed chicken and zucchini! It may not sound too exciting but the flavor combination is unforgettable! Be sure to ask for sweet plaintains or street corn too. El Patron is a middle of the road restaurant in terms of the cost per plate. You can get a delicious meal for under $15 and bring leftovers home. Goodfellas by Chef Santos is the type of restaurant that has been around for quite a while and consistently serves quality food that you can count on every single time. You will enjoy latin and italian cuisine by none other than Chef Santos himself. He is a master in his field and creates amazing dishes that will leave an impression on your palate! This restaurant is on the higher end and you can expect to pay more than you would at a more casual place. However, you truly get quality that is worth every penny! Mambo Grill serves cuban cusine and has a special place in my heart! Many years ago when Mambo opened it's very first location which was a tiny spot in a strip mall, my husband and I "discovered" it and ordered takeout every two weeks. It was a small, no frills joint and the food was to die for. We had cuban food when we traveled to Costa Rica and were so excited when Mambo opened it's doors! 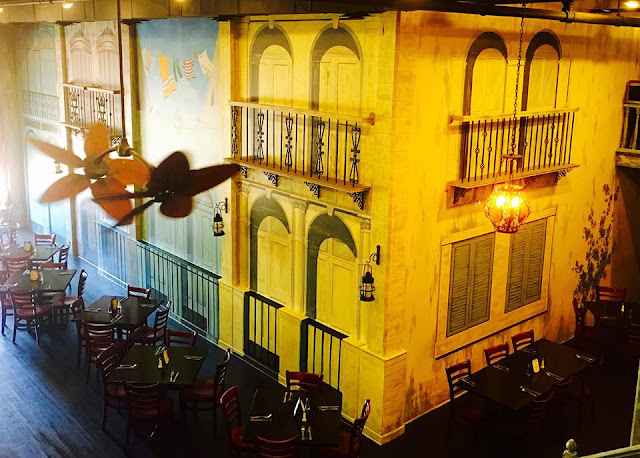 Fast forward many years and Mambo has a beautiful downtown location. The environment has changed but the food remains exactly the same: family owned and operated authentic cuban cuisine you will never forget. 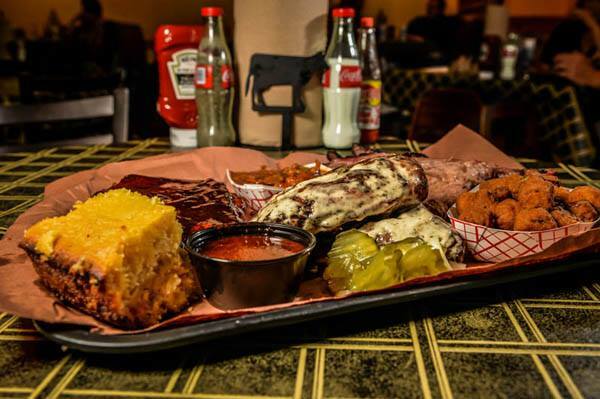 If you can picture the largest meal you have ever ordered where every item on the tray tastes better than the last, you've arrived at The Smoke Pit. Most of the time, bbq restaurants do meat well. We expect there to be tasty meats at bbq joints. We expect the slow cooking, smoking and grilling, fall of the bone meat smothered in sweet and spicy finger licking sauces. Smoke Pit delivers on the meat but ALSO the sides. The cornbread is basically dessert and the macaroni and cheese is just like after church pot luck. Bring your appetite to The Smoke Pit and bring it around 3pm. If you wait until dinner hour, you may be waiting a little bit. I've chosen Bangkok Downtown as my number one restaurant because personally, one of my favorite dishes on the planet is pad thai and they do it right. They serve the best pad thai, hands down, in the state of North Carolina. It is authentic, no frills, straight out of a big steaming wok combination of salty, sour and sweet. This dish sends my taste buds into a frenzy! It's just that good. There are other very good thai, chinese and japanese restaurants in Salisbury such as Katana and Ting Hao, but Bangkok is at the top. Are there any restaurants you feel I should have included in this list? 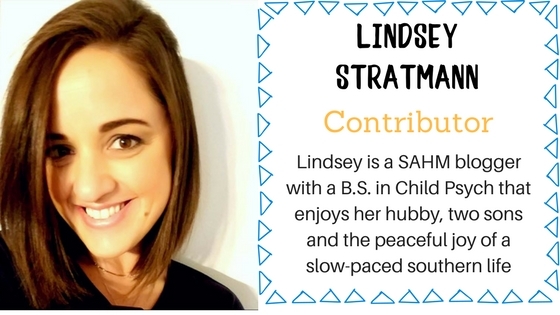 Be sure to add your pick in the comments section below! Like I said, there are so many restaurants in this eclectic little town and the culinary scene is exploding as of late! Bangkok Downtown is on my must go to list. 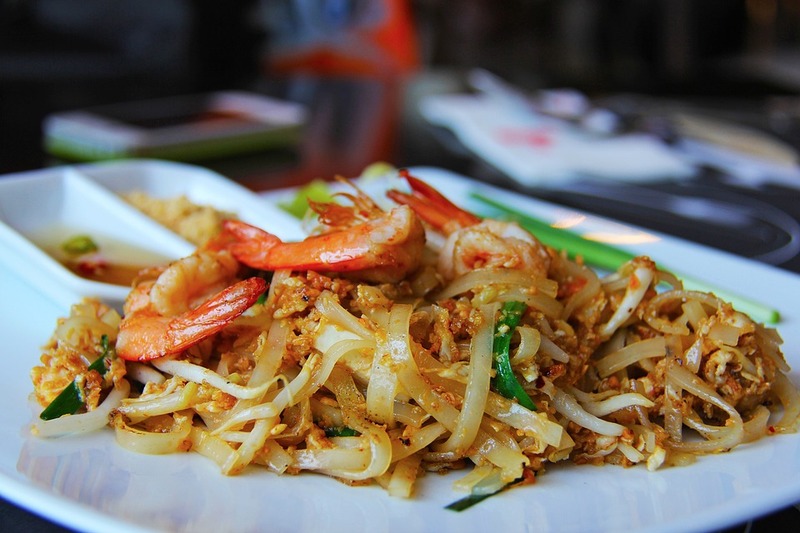 I love a good Bangkok pad thai!